This carved ship’s head would have adorned the prow – the part of the bow above the waterline. “Olive” is a multi-color wooden ship’s head, with original paint. 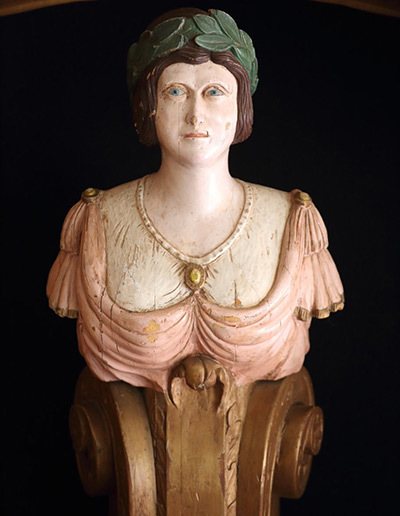 The carving is of a blue-eyed figure wearing a ruffled pink dress and white chain, and decorated with c-scrolls. She measures 43 inches tall and 12 inches wide.